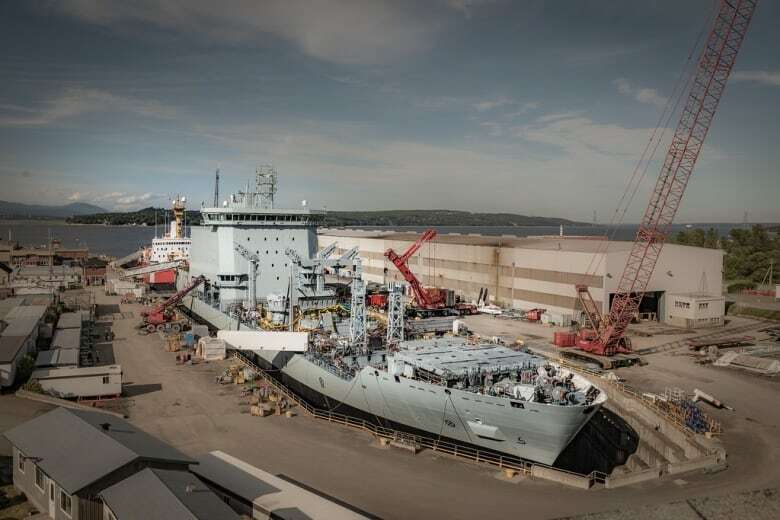 The Davie shipyard in Lévis, Que., Irving Shipbuilding Inc. in Halifax and Seaspan Victoria Shipyards in Victoria will each get a share of the contract to work on the Halifax-class frigates, Public Services and Procurement Canada announced Thursday. Quebec's Davie shipyard is in line to get a share of federal contracts worth billions of dollars for maintenance on 12 Canadian navy ships. Public Services and Procurement Canada announced Thursday in a news release that it intends to sign contracts worth $7 billion with Davie, in Lévis, Que., Irving Shipbuilding Inc. in Halifax and Seaspan Victoria Shipyards in Victoria. "It's a great day for us," said Frédérik Boisvert, Davie's vice-president of public affairs. "It gives us stability for years to come." The government did not provide a breakdown of how much each contract would be worth. 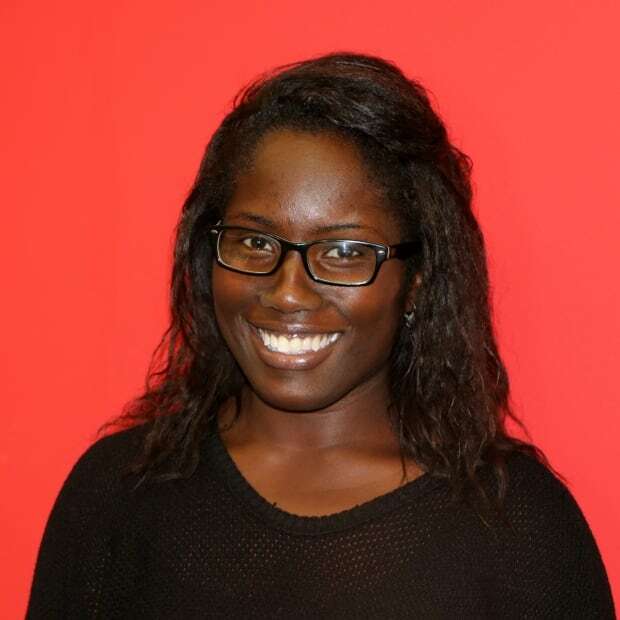 However, a source told Radio-Canada the contract would be the biggest in Davie's history. When asked if he was worried splitting the work between the three shipyards would sow discord, Prime Minister Justin Trudeau said the opposite is true. "We recognize that Davie did a great job with the Asterix," he said, referring to a navy supply vessel the shipyard converted and unveiled to much fanfare last year. "We will continue to work with all the places in Canada that can participate to create good jobs, good products and good ships for Canadians." The MV Asterix, the navy's planned temporary supply ship, at the Chantier-Davie Shipyard in Levis, Quebec in early July 2017. The contracts aren't a done deal — other interested suppliers have 15 calendar days to signal their interest in bidding for them. The 12 Halifax-class frigates need a wide range of engineering and docking work, equipment installations and corrective maintenance. They were commissioned in the mid-1990s, and the average vessel is 25 years old. They are being refitted as the government awaits the delivery of Canada's next generation of warships. Irving and Davie are expected to handle the work on the seven ships in the Atlantic fleet. It is unclear how the work is to be divided between the two yards. Seaspan will work on the five that are assigned to the Pacific command. Maintenance work on the ships is currently done at the Irving yard in Halifax. 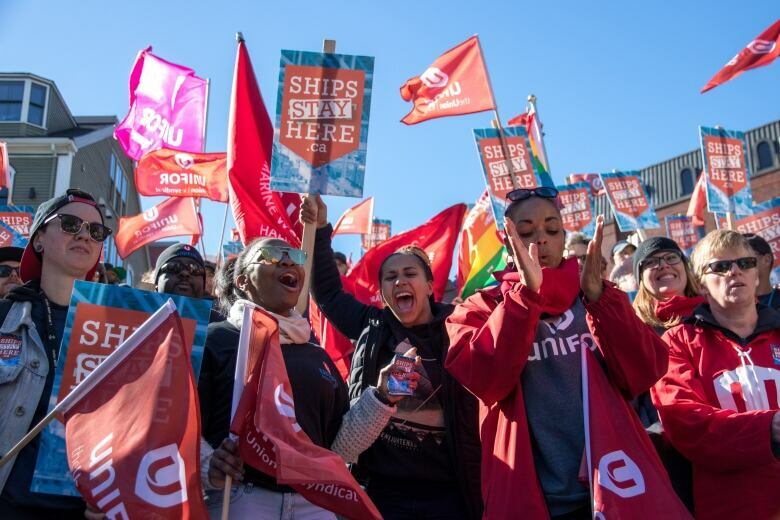 Last month, Irving employees held a march in Halifax to protest against the Liberal government's intention to split the contracts with Davie, saying it would result in job losses at Irving. 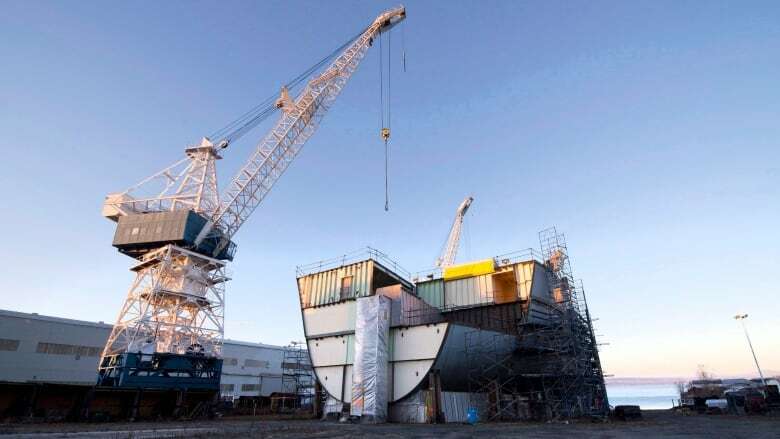 Ken Hansen, an independent defence analyst and former navy commander, told Canadian Press that divvying up the work through untendered contracts between three shipyards is about politics. "If the ships have to travel a distance and get their work done elsewhere, it's both ineffective and uneconomical," he said. "Any work that is awarded to Davie is done for the sake of politics." On Thursday, Nova Scotia Premier Stephen McNeil said it wasn't fair Ottawa decided to split the work without going through the usual procurement channels. "I believe this should continue to go through the process that they've always done," he said, noting Irving has continued to demonstrate that it does great work and can compete on a national level to win contracts. Boisvert said the campaign being mounted by Irving to shut Davie out of contracts is "tremendously annoying." "Seriously, they are flush with contracts. They have above $65 billion, billion worth of contracts," he said. "Why wouldn't they share a bit of those specific contracts with us? Why do they campaign against us? We sincerely don't understand it, and to be honest, it's profoundly offensive." The work on the frigates is not set to begin until 2021. Réjean Guay, a spokesperson for the union representing Davie workers, welcomed the news but said it won't help laid-off workers trying to make ends meet now. "It's a nice marriage proposal, but the honeymoon only starts in 2021," he said. Boisvert acknowledged the three-year wait presents Davie with a "challenge" in terms of rehiring laid-off workers and retaining others. Speaking in Quebec City shortly before a planned visit to the shipyard today, Conservative Leader Andrew Scheer said the Liberals have been neglecting Davie. He pointed out the yard was expecting an order for another vessel, the Obelix, after delivering the Asterix on time last year, but the Liberal government closed the door on that possibility. "It's very clear, on support for Davie, it's been the Conservative Party that has been there for the Davie shipyards," Scheer said. On the contrary, said Liberal cabinet minister Jean-Yves Duclos, who represents the Quebec City region, the announcement is proof of the renewed relationship between Davie and the federal government, a relationship that had been "neglected for years." Despite Scheer's claim that the Conservatives have been there for Davie, it was the Harper government that excluded the yard from its 2011 national shipbuilding strategy, a long-term, multibillion-dollar commitment to renewing Canada's federal fleet. Under that strategy, Irving and Seaspan were tapped as the two main shipyards that would be awarded contracts. Davie was emerging from bankruptcy at the time. However, since at least fall 2017, the Liberals have said Davie and other Canadian shipyards would also have opportunities to win contracts. While Ottawa has not said anything about reopening the strategy, the government has been weighing whether to "refresh" it, according to a memo written in January and obtained by CBC News. In August, Davie won a $610-million contract to convert icebreakers for the coast guard. The first of those icebreakers will be operational Dec. 1, Boisvert said.